We are a team of mainly Cypriots and Famagustians from both sides of the divide who aim to promote a sustainable city for the benefit of the whole island. You can find all the ingredients of violence in the last 50 years of Cypriot history: Divide and rule tactics, car bombs, bullets in the back, interrogation and torture, mass graves, UN troops, meddling foreign states, a coup, an invasion, occupation, and enough propaganda for another century of hostility. Any account of the Cyprus Problem will offend many, whether they are Brits, Greeks, Turks, Greek-Cypriots or Turkish-Cypriots, and if one is honest and unflinching about the facts, all will take offense. 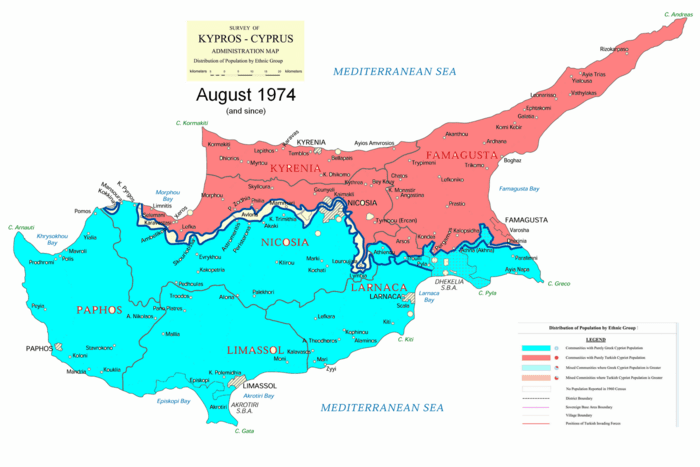 Cyprus became independent in the 1960’s after the Greek Cypriot underground group EOKA waged a five-year guerrilla war against Britain, the colonial master. But EOKA wanted union with Greece, not independence. In short, they wanted to be Greeks, not Cypriots. Turkish nationalism grew as a counterpart to the Greek variety, and the underground group TMT formed to pursue the partition of the island between Greece and Turkey. Violence ensued, and the UN arrives with a peacekeeping force. 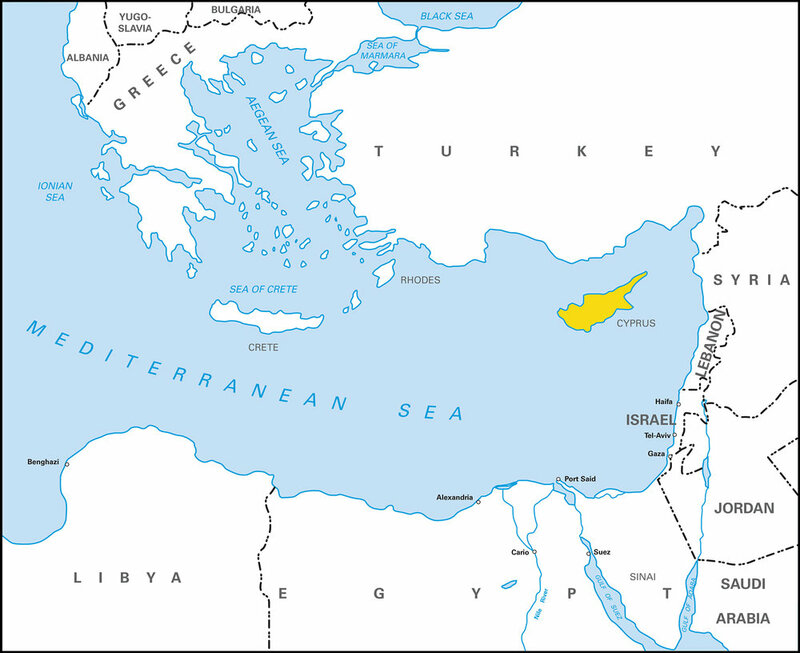 Violence continued with both sides suffering atrocities perpetrated by extremists on each side, while the Turkish Cypriot minority withdrew into enclaves. In 1974, the dictatorship in Greece staged a coup to annex Cyprus to Greece. Turkey then invaded, claiming its right as a guarantor power to intervene and restore constitutional order, and ended up occupying the northern third of the island, killing thousands in the process. Greek Cypriots living in the north were forcibly displaced to the south, while Turkish Cypriots in the south were moved to the north. The Turkish Cypriot leader Rauf Denktash later unilaterally declared the north to be The Turkish Republic of Northern Cyprus, which remains recognized only by Turkey. To this day, the Turkish troops have not left, and the island remains divided. A view of pre-invasion Famagusta Beach looking south. During the conflict of 1974, a six square kilometer district of Famagusta known as Varosha, was fenced off from the rest of the island by barbed wire. Famagusta itself is the setting for Shakespeare’s Othello and is one of the island’s most important harbors, tourist destinations, and center of culture, trade and commerce. To this day, Varosha remains surrounded by barbed wire. Once known as the jewel of the Eastern Mediterranean where people like Elizabeth Taylor and Richard Burton summered, it is now a ghost city; a place of captivity; an abandoned and derelict area in the divided region of Famagusta; a pawn in a political struggle that has yet to be resolved. The rest of Famagusta is inhabited by Turkish-Cypriots who were either originally there before the Greek-Cypriot community left or who were displaced from other parts of the island. There are also Turkish migrants from mainland Turkey who live in their own separate neighborhoods. The entire Famagusta region, which like Cyprus has in its history a long list of invaders, continues to retain the status of a fragmented community. Emily Markides, mother of Famagusta Ecocity Project founder Vasia Markides, was born and raised in Varosha, and like all of its Greek-Cypriot inhabitants, retains a certain nostalgia and longing for her hometown that will move anyone who has the chance to hear her story. She, like many other Famagusta refugees, has never recovered from its loss. It remains like an open wound for those who left their belongings, their homes and their communities one day thinking they would return the next. A handful of photos are the only physical record that remains of Emily’s childhood in Famagusta. Emily Markides (right) as a child. This is the wedding of Emily's mother and father and is the only photo that shows the family home in the background. Emily’s obsession with her hometown infiltrated Vasia’s psyche so deeply that it launched her career as a filmmaker. In 2008, Vasia made a documentary short called Hidden in the Sand about the city and the larger Cyprus problem that has kept it in captivity. As both the filmmaker and a participant in the story, Vasia examines the fate of this city in captivity and her family’s connection to it. All of the work that Emily has done in launching eco-peace communities both in Maine and Cyprus, has been inspired by Famagusta and her dream to see it revitalized as Europe’s model ecocity. The idea stuck and in 2013 Vasia decided to finally pursue a longer, more elaborate film on the subject. Emily, Vasia and her husband Armando, began meeting others who immediately saw the potential of this idea. These extraordinary individuals quickly became a team ready to help make this ecocity happen. The idea started catching fire and The Famagusta Ecocity Project was born, and a documentary production with it. 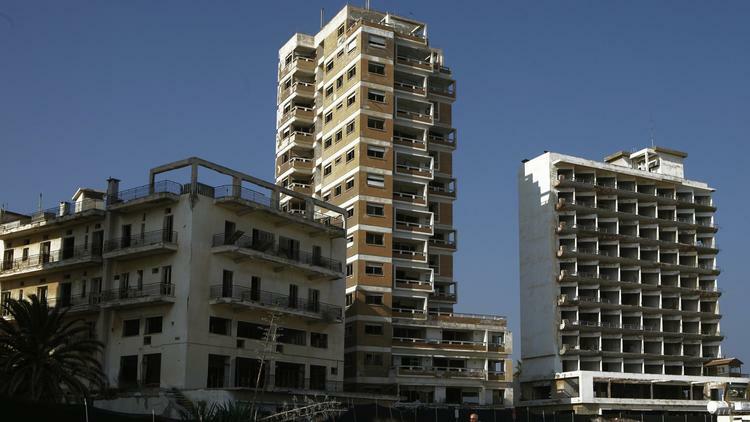 Any reopening of the nearly 44-year old militarily occupied ghost town of Varosha, a district of historic Famagusta on the Eastern coast of Cyprus, presents a unique opportunity to learn from the mistakes of the past and rebuild for a better future. Yet it comes with significant risks. Without careful planning, it could become just another unsustainable development in an already crowded Mediterranean tourism market, while cementing Famagusta as the second divided city in Cyprus. Rebuilding Varosha in the context of a model ecopolis promotes peaceful coexistence amongst all of Famagusta’s inhabitants while embracing the latest eco­city technologies and turning Famagusta into a center for peace and sustainability within a troubled region. The project ultimately aims to turn all of Famagusta into Europe’s model Ecocity. This is a multi-track approach to environmental sustainability, economic prosperity and peace building. Those involved are local and international architects, permaculture designers, economists, business owners, urban planners, engineers, horticulturists, historians, artists, filmmakers, conflict mediation specialists and much more. Our aim is to prepare the communities for the implementation of the Famagusta Ecocity into a thriving cultural, economic and environmental hub. This takes much planning a preparation ahead of time before the area opens up again to human habitation, and after 40 years of separation between Greek and Turkish Cypriots, the road is certainly a bumpy one. In addition to completing an architectural design studio, which brings five sets of ecocity ideas to the communities, we are working on a documentary film that will both tell the story of the city and show why it is the perfect laboratory for an ecocity to be born. Feature length documentary currently in post-production. Waking Famagusta provides a historic snapshot of one of the most conflict-ridden regions in Europe revealed through a mother-daughter story of ancestral awakening and the birth of an international urban reclamation movement. In 2003, Vasia Markides, captivated by her mother’s stories of her birthplace, Famagusta, Cyprus and encouraged by Turkey’s recently loosened restrictions on checkpoints in the occupied country, decided to venture to her maternal ancestral land – a journey that would prove to be life-changing. The film follows Vasia’s fixation with Famagusta and her mother’s dream to create a plan for peace and sustainability for the troubled region. If the island is reunited, Famagustians will be given the right to return home. When this happens, they will confront one of the largest reconstruction challenges Europe has seen since the end of World War II. Click here to see more details about what we have achieved. Director of Waking Famagusta and Co-Founder/Director of The Famagusta Ecocity Project; A painter originally, Vasia completed her first documentary short in 2008. Hidden in the Sand is a chronicle of her mother’s hometown under Turkish occupation, which is now off limits within the six square kilometer fenced off abandoned district of Varosha. Hidden in the Sand has screened in venues and festivals across the U.S., Puerto Rico, Germany, Cyprus, Turkey, Greece, France and Portugal. As a video producer, Vasia has worked with clients such as Oxfam America, Global Nomads Group and other human rights organizations. After launching the Famagusta Ecocity Project and directing a documentary about the effort, her team’s work gained worldwide media attention (CNN, BBC, Associated Press, Huffington Post, National Geographic, Boston Globe, ABC News, U.S. News & World Report, and TedX Limassol). In addition to working on her personal projects, she freelances as a filmmaker and video producer in Maine, New York City, and Cyprus. Fiona Mullen has been providing independent economic analysis to an international audience for over 20 years. She founded Sapienta Economics Ltd in 2006 and is the author of the monthly Sapienta Country Analysis Cyprus. She has written extensively on the economics of a Cyprus settlement, including several publications co-authored with Greek Cypriots and Turkish Cypriots for the Peace Research Institute Oslo (PRIO). Mullen was economy adviser to the United Nations good offices mission from 2008 to early 2016 and author of the Cyprus reports for the Economist Intelligence Unit (EIU) from 2002 to 2015. Before living in Cyprus Mullen was Director of the EIU’s flagship Country Reports. In 2017 she co-founded Facilitas Advisory, a media communications and government relations advisory firm. Dr. Boğaç was born in Famagusta on 1979. She has a Master in Architecture and a Ph.D. in Environmental Psychology from Eastern Mediterranean University. She is currently an Assistant Professor of architecture at EMU. Her specific areas of expertise are architectural psychology, environmental meaning, environmental design and place attachment studies. She has publications in environmental meaning and place attachment studies both at the national and international level. Between 2010-2011, she received a scholarship from the European Commission and completed research about ‘Intercultural dialogue and active learning in design studio’ at the Academy of Art Design and Architecture in Prague/ Czech Republic. She has also been involved in many EU funded civil society projects based on human rights and is a board member of the INTBAU Cyprus Chapter. Besides her academic works, she has many awarded and published short stories in Turkish. Nektarios Christodoulou is an Urban Planner and a PhD Grant Holder at the University of Cyprus. He graduated first in his class from the Department of Planning and Regional Development at the University of Thessaly, (2010) and then continued for postgraduate studies at the University of Cambridge where he obtained an MPhil in Planning Growth and Regeneration (2011). He has participated in numerous urban projects in Cyprus and he is currently working on his PhD thesis entitled “Planning in Contested Cities: The case of Famagusta’’. Famagusta native; Professor of Permaculture and Building Sustainable communities; Doctoral degree in Counselor Education (University of Maine). Emily’s areas of special interest are the creation of sustainable and EcoPeace communities, spirituality, and permaculture design which melds ecology, agriculture and human settlement. She wrote her dissertation on Complementary Energetic Practices: An Exploration into the World of Maine Women Healers. She has written articles on “Creating a Stable World Peace,” “From Poetry to Community Building,” and “Energetic Healing and its Correspondence to Eastern Orthodox Spirituality.” The ideals that have inspired her work over the years, in terms of both theory and praxis, have been in the area of institution building. She has pursued those ideals in Cyprus by becoming the founder of a Women’s Studies Center/Peace Center and the International Eco-Peace Village (IEV). She served as a Commonwealth Peace Consultant in Cyprus. She also helped to launch a new program in Peace Studies at the University of Maine and served as its first Interim Director from 1988-91. Since 2004 she has founded and served as President of ESTIA, The International EcoPeace Community (www.estiamaine.org). Emily is committed to issues of personal, social and global change, spirituality, peace and ecological sustainability. Architect, Energy Assessor and Sustainability Consultant. 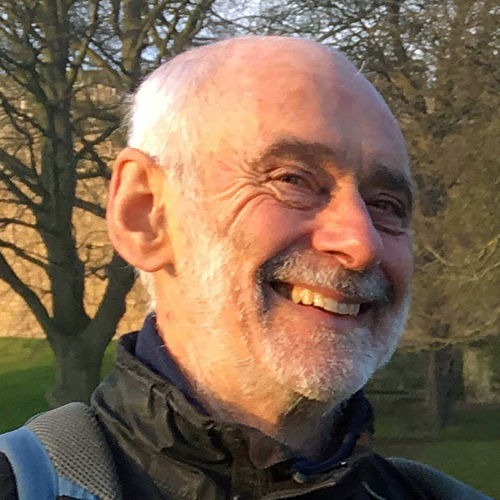 Studied at the Polytechnic of Central London, worked in the Housing Association sector and taught sustainable architecture in the UK and Cyprus before becoming Director of the Centre for Alternative Technology in Wales (UK), the International Eco.peace Village in Cyprus and Energy Solutions in London. More recently taught architectural contexts and environmental technology at the Hull School of Architecture (UK). Armando is the Co-founder of the Famagusta Ecocity Project; Architect, Educator, and Visual Artist who is preoccupied with the environment and the construction of energy conscious infrastructure. His work as an architect focuses on renovation, restoration, adaptive reuse and the socially responsible use of resources. When he isn't being an architect, he is a video producer and motion graphics creator. Christina Elia is a Greek-Cypriot Architect. She has obtained a BA (Hons) in Architecture from the University of Brighton, UK and a MSc in Architecture and Sustainability from KU Leuven (LUCA) University in Belgium. Her master thesis focused on ecological architecture and urban sustainability; "The Transformation from a Highway to a Sustainable Urban District". After her graduation she was part of a team working on the architectural competition for the medical school building facilities of University of Cyprus. She is currently working as an architect in Larnaca. Q. What is the Famagusta Ecocity? The Famagusta Ecocity is our vision for an integrated, sustainable, and environmentally responsible Famagusta that promotes peaceful coexistence amongst all of its inhabitants and embraces the latest environmental and urban technologies. What started out as a plan to revive Varosha, the captive ghost district of Famagusta, grew into something much more integrated with the needs of the island. In our vision, the Famagusta Ecocity will be a centre for peace and sustainability within a troubled region and a magnet for high-quality trade, commerce, tourism and investment. Q: How will you put this vision into practice? 1) January 2014: Design Studio: An architectural design studio run by the renowned MIT Professor Jan Wampler, with input from 15 of his own students, Cypriot students and Cypriot stakeholders from both communities, as well as specialists from other disciplines. The design studio was hosted by the Famagusta Municipality Cultural Centre in Deryneia, adjacent to the UN-monitored buffer zone overlooking the ghost city of Varosha. The design studio was a major success which contributed to ongoing local dialogue on the vision for an integrated, post-settlement, Famagusta. The studio offered outlines of different proposals, which the local stakeholders can draw information from as guides in the future development of the city. 2) Spring presentation 2014: A conference in the spring of 2014 that presented the ideas of the design studio and what the next step of those ideas could be. 3) Ongoing: Documentary: A ﬁlm that will document the design studio at work, workshops with stakeholders and specialists, interviews with current and former inhabitants of Famagusta, and inhabitants of eco-villages around the world, while also preparing the ground in both communities to ﬁnd the strength and resolve to crack a decades-long conﬂict using a fresh idea. Our aim is that the documentary can also provide a blueprint for other towns to use in preparing their own communities for a more stable and lasting future. 4) Ongoing: Online databank: A free and open online resource to serve as a repository of all prior publicly available research and studies on Famagusta, in order to enable present and future teams of specialists to draw on the best research and ideas to date. 5) Ongoing: Outreach: We are spearheading a local and international informational and educational campaign via individual meetings and a wide variety of media, including the documentary ﬁlm and social and traditional media. 6) Ongoing: From Vision to Reality: Our aim is to showcase for public and private investors the feasibility of a successful reconstruction of Varosha and the wider Famagusta as a state of the art environmental showcase providing economic independence for both communities while acting as a magnet for sound investment and high-quality tourism, and peaceful co-existence. Q. Will the ecocity be funded by taxpayers’ money? Isn’t that a luxury? How to ﬁnance an integrated Famagusta Ecocity is one of the questions we shall examine during the design studio. Broadly speaking, we envisage a virtuous circle in which visionary ideas, solid planning and productive cooperation attracts not only private investors but also ofﬁcial sector E.U. funding as well as companies who want to showcase their latest eco-friendly technologies. Q. Who is on your planning team? Vasia Markides (Cypriot ﬁlmmaker); Ceren Boğaç (Cypriot / Famagustian academic architect); Armando Garma-Fernandez (Architect, Animator & Filmmaker); Fiona Mullen (economist specializing in the Cyprus economy including post-settlement); Nektarios Christodoulou (Cypriot / Urban Planner); Emily Markides (permaculture adjunct professor; Famagusta native; the vision’s originator). Q. How are you funding this? Primarily through private donations. For the documentary, we raised $17,000 in private donations and $34,000 from our crowd-funded Kickstarter campaign, 10% of which goes to Kickstarter. Documentaries that pay their staff regular salaries typically cost $300,000 – 1 million, so we are starting this on a shoestring and we are still campaigning for more funds. For the architectural design studio, we have raised $20,000 through private donations to cover travel, accommodation and costs on the ground. We have also received a pledge for a small donation from an EU-based NGO (non-governmental organization). This money will be used to cover costs such as equipment, travel, services, etc. All spending will be fully accounted for. Q: Are you saying Varosha should be returned in advance of a settlement? The Famagusta Ecocity Project is keen to ensure as wide support as possible support for the project from stakeholders in both communities. For that reason we are not taking a position either way on when Varosha should be returned. We are only preparing for what could happen if it is returned. Q: Are you related to the Bicommunal Famagusta Initiative? One of our team members was also a core team member of The Bicommunal Famagusta Initiative (BFI), which is a separate organization. We are grateful to BFI for providing us with information and logistical support. Owing to signiﬁcant overlap in the ultimate objectives and in the stakeholder-centric processes adopted by all organizations, the Famagusta Ecocity Project and the Bicommunal Famagusta Initiative are mutually supportive of each other’s efforts. Q: Are you going to interfere with my property rights? The design studio will proceed on the premise that property rights will be fully respected, and that no property owner will feel that they might eventually be forced to demolish their property as a result of designs made by someone else. We are only presenting ideas and information; we are not trying to impose a way of life on anyone. Q: Are you forcing an outsider’s plan on us? The Famagusta Ecocity Project has made a public commitment from the outset that no proposal will be put forward that does not carry widespread bicommunal support among the immediate stakeholders. Ultimately it is all about involving stakeholders and Cypriots in designing a well-planned integrated Famagusta. In the end, Cypriots will decide how that happens. Q: Do you have political support for your project? Both the Greek Cypriot and Turkish Cypriot municipalities of Famagusta have publicly expressed their support for citizen initiatives regarding the future revitalization of Famagusta. Government ofﬁcials in various departments and at various levels have also privately expressed their support and encouragement to the proposition that a vision for the reconstruction of Famagusta, garnering widespread bicommunal stakeholder support, ought to be in place in advance of a comprehensive settlement, as this would prepare the ground for a successful “Day After” and be a good omen for the implementation of any agreed political solution to the Cyprus problem. Q: What media coverage have you had to date? Go to our Press Page by clicking here. Here is some of the international press coverage that the Famagusta Ecocity Project has received since its inception. Welcome to Varosha, the Mediterranean's best kept secret. Miles of sand where it's just you and nature. Dozens of grand hotels where you'll have the pick of the rooms. One Square Meter explores the leading architectural designs, city plans and demand for property investment in emerging markets. Vasia Markides grew up with her Greek Cypriot mother's stories of Varosha which was once the booming tourist resort of Famagusta, but it has now been fenced off from the world for nearly 40 years. Vasia has launched a campaign to bring Varosha back to life, and to make the whole area into an eco-city. Ceren Boğaç, a Turkish Cypriot from Famagusta, grew up next to Varosha, and shares Vasia's dream. The grass-roots project — the brainchild of Greek Cypriot-American Vasia Markides — aims to transform the ghost town into a model eco-city, preserve local character, generate revenue for the debt-ridden country and provide a forward-thinking example of planning in a drought-prone country plagued by overdevelopment. CLOSE to 100 participants will take part in the five-day Famagusta Ecocity Project Design Studio launching on Thursday to draft a range of design proposals for turning the ghost town of Varosha and the wider Famagusta area into a model reunited ecocity, fit for the 21st century. We are undergoing a major overhaul of our online presence. If you need to reach us, then please fill out our form and we will get back to you as soon as we are able.